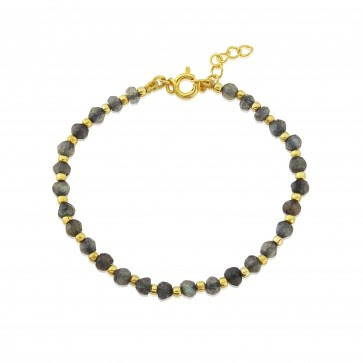 Labradorite - Your new favourite gemstone! There has always been one gemstone that has sparkled like no others for me. I am not one for gemstone meaning but this stone had a meaning that resonated with me; self esteem. In 2017 with anxiety and wellness at the heart of social issues this gorgeous stone has a place in everyone's lives. Sometimes a keep sake can be something you wear most days. 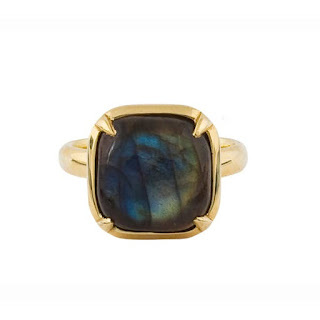 I often wear mine when I've got meeting or a presentation and I can look at my labradorite ring and remember. "I got this". 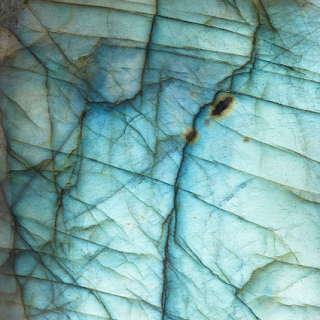 Labradorite is famous for it's iridescence and the inclusions in the stone often known as the schiller. Each one is completely unique and the stone can vary in colour and clarity. It's usually found in Madagascar or the USA. I've seen labradorite that's a deep green, or a midnight blue, even with a pink tinge. 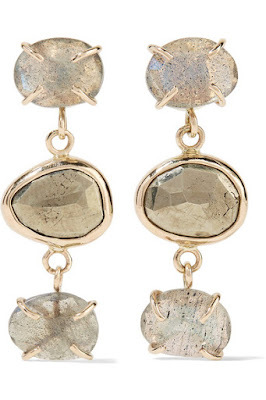 I've got the same earrings in labradorite both completely different labradorite stones. One is dark navy and like a magpie's wings the other pair is a pale grey and more sparkly like the northern lights. 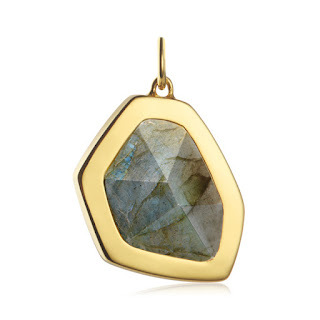 This simple pendent features a rose cut labradorite gemstone. It's more pale than some other stones but it great for someone looking to add a gemstone into their jewellery collection. Labradorite is also known as a 1st year anniversary stone and this is the perfect stone to gift to someone or celebrate a 1st year anniversary. This ring has a signet ring look to it and the cushion mount. I absolutely love the colour of this stone it has that magpie look that I love most in labradorite stones. 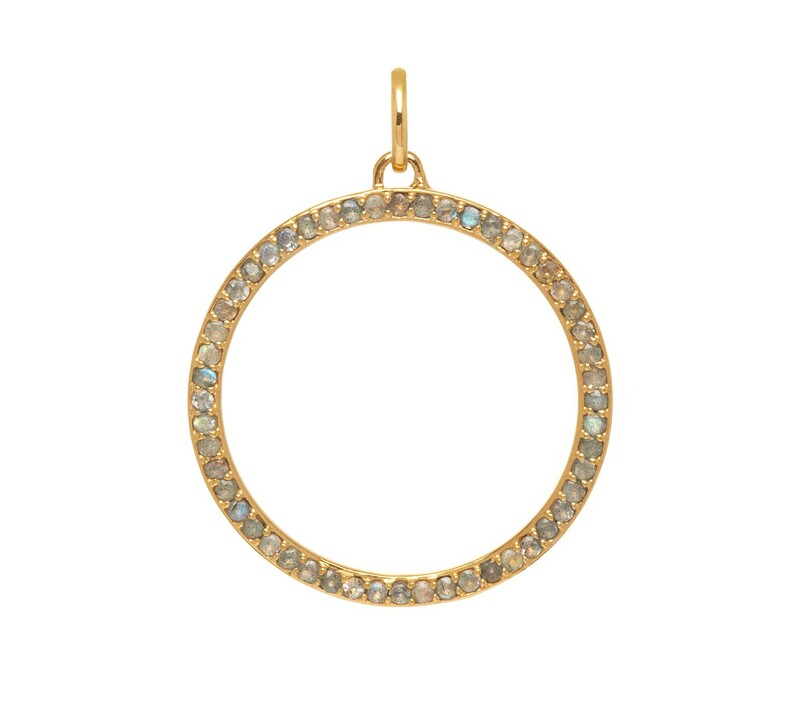 This stunning stone is set in an 18ct gold ring. 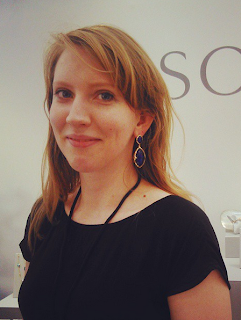 Natasha Sterling is a designer that mixes her GIA gemologist qualification with contemporary design and her designs are absolutely stunning. Most pieces by Natasha Sterling are by appointment only so snapping up a piece from her ready to wear collection will always be a good investment. These earrings are an absolute show stopper. A combination of rough labradorite and pyrite stones and the claw prongs give a real organic look which is still very chic. Labradorite can be set in silver but I think all the warm tones come out of the stone when it's set in yellow or rose gold. I think the contrast of the opaque pyrite is also a great pairing. This bracelet has a lovely mix of bohemian and chic. It would be great for stacking alongside a simple chain, I think this would make a great gift as it has a friendship bracelet appearance. You and a friend could buy different stone depending on what speaks to you. This cocktail ring has always been a favourite of mine. 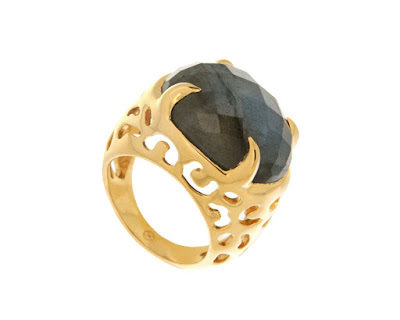 I love the cut out leopard on the band and labradorite from Missoma is always beautiful and dark. This piece reminds me of the jungle, India and other exotic escapes. 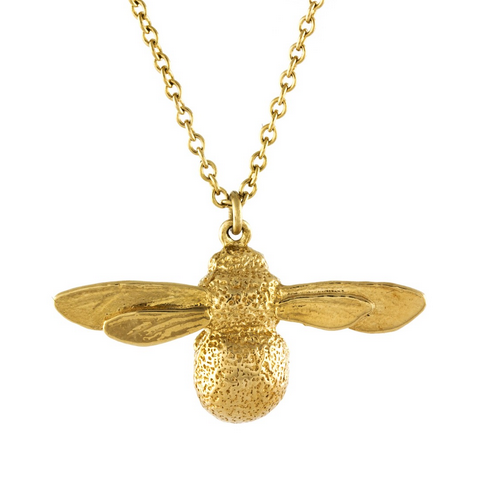 If you love a something big and blingy this one is for you. 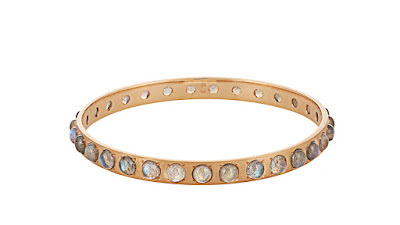 The 18ct gold bracelet is brushed to give it a subtle texture. It features a total 17.67 ct of labradorite cabochons. With this many stones you are bound to see this gemstone and all its variations. This is definitely an investment piece but one that will stand the test of time and trends. 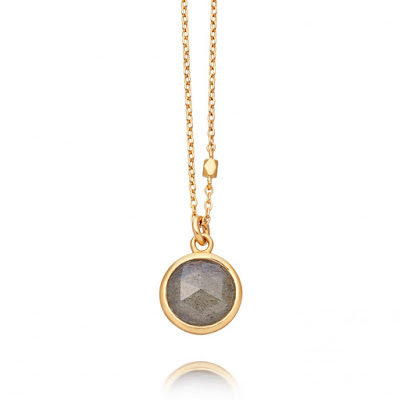 This piece is classic Monica Vinader, organic and asymmetric and this stone pendent ticks all those boxes. I think it's a really simple piece to add a gemstone into your wardrobe. 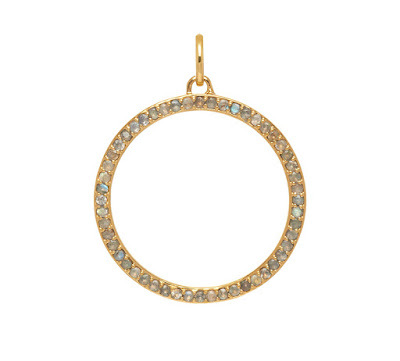 This pendant is surprisingly large and the stone is also not flat against the gold setting giving you that extra luxurious finish. Sometimes you have got to go big or go home and this cuff is going big. The big labradorite gemstone is everything I love about about variation and unique stones. We can see pink, green and and the black marks are more inclusions in the stones. Although these can be viewed as blemishes in the stone the marks make each one unique and encourage more sustainable sourcing of stones. 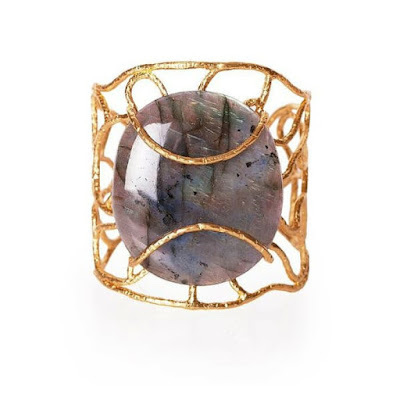 This piece is quite different from the Christina Greene cuff. Labradorite often is more pale when the stones are smaller and the use of the pave setting stones gives it that lovely sparkle. The setting is more contemporary with the circle pendant and the symmetric look this piece has.